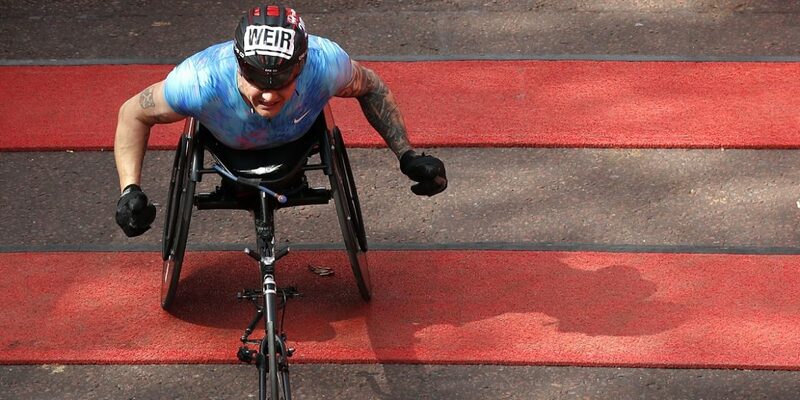 British Athletics are pleased to confirm David Weir (club: Weir Archer Academy, coach: Jenny Archer) has announced his ambition to make the British team for the Paralympic Games in 2020. Weir who has won the last two London Marathons, taking his tally to a record eight titles, continued to compete in road racing after 2016, where his exploits in recent months have been unrivalled, with victory at the Great North Run on Sunday his latest triumph. He has competed for the British team at five Paralympic Games, firstly as a 17-year-old at the Atlanta Games in 1996. The six-time Paralympic gold medallist is one of the most decorated British athletes in history, notably following his four-gold medal haul at the memorable 2012 Games in London. He will seek a sixth Games in Japan in just under two years’ time.